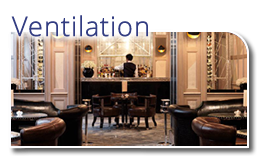 R22 is a refrigerant commonly used in many air conditioning and refrigeration systems throughout the UK and Ireland. It is a HCFC (hydrochloroflourocarbon) and is very damaging to the Ozone layer. In 2000 the EU introduced regulations to ban the use of HCFCs. There has been a gradual phase out of the use of HCFCs since, which will culminate in a complete ban within 22 months. If your business has air conditioning or refrigeration equipment which was installed before 2004 it may contain R22. All such systems may leak refrigerant at some stage during their lifetime. After the phase out it will be illegal to use R22. So in the event of a leak the equipment will immediately become unusable. Parts for pre-2004 equipment are also becoming scarce. Hotels, food production, data centres and many other businesses all have a critical need for their cooling systems. This could obviously cause serious consequences for any organisation which depends on its equipment. There are 3 main options to deal with the phase out. 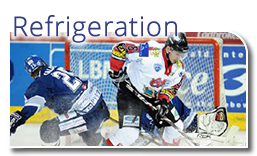 Replace the equipment which uses modern refrigerants which will be more energy efficient. Modify the existing plant to use another refrigerant, however performance, reliability and energy efficiency may be compromised. Do nothing and risk significant downtime. The majority of R22 units are at least one third of their way through their forseeable life. Alternative refrigerants such as ammonia and R404A have zero ozone depleting potential. They are also more energy efficient than R22 and therefore will have lower running costs. When do the changes have to be completed by? From 1st January 2015 it will be illegal to use R22 for service or maintenance. The key to smooth transition lies with ensuring the successful project management of the removal of the R22 refrigerant and professional installation of a replacement system. What do you need to do . . . The selection of the best option needs careful consideration and will be influenced by your company’s circumstances. 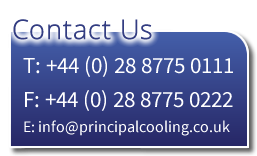 Principal Cooling can help you decide on the best option for your business. 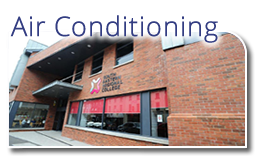 Call us today to arrange an assessment of your air conditioning and refrigeration systems.